Once we start edging over closer towards the major milestone that is the $100 price point, you’ll notice a sharp uptick in the sheer variety of earbuds that are on offer. It’s now that we really begin to specialize, and now that we can talk seriously about things like bass response and the clarity of the overall audio performance. In short, $100 is a pretty solid budget, and if you keep all buying considerations in mind, you should be able to walk away with an extremely sound purchase that fits your precise needs and requirements. What 1MORE Triple Driver earbuds bring to the table is something you won’t find too often. We’re looking at a set of performers which completely change what earbuds are all about. On top of that, 1MORE has done a great job at bringing aesthetics to a whole new level as well. All that aside, the most impressive aspect of these earbuds hides under the hood. Where most other brands are perfectly happy with a single driver per earbud, 1MORE had to go with three. In practice, that decision has proven to be a great step. The sound is impressive to say the least, with plenty of definition, clarity and girth all throughout the frequency response range. Overall, these earbuds offer a pretty refined experience that is on another level. Light weight and solid build quality. Reliable performance across the board. Great battery life even during heavy use. Sound quality seems to be a bit flat for our liking. Wireless earbuds are starting to dominate the market. Most models we have today are comfortable, compact and pretty impressive when it comes to performance. Plantronics BackBeat 100 fit this description perfectly. On top of that, they really add a layer of functionality and style that most wireless solutions are missing these days. With that said, these will work great for active users. Plantronics has made it their goal to design a comfortable set of wireless earbuds that won’t move or fall out during use. The way they have done that is by designing a compact but functional driver chassis and pairing with a good ear piece selection. With a semi rigid neck brace, you are looking at a fairly secure setup that won’t let you down. Beats by Dre have been extremely popular in recent years. Because of that, it was only a matter of time before a compact, earbud version under the same name would be released. That is where urBeats Wired In-Ear Headphone come into play. 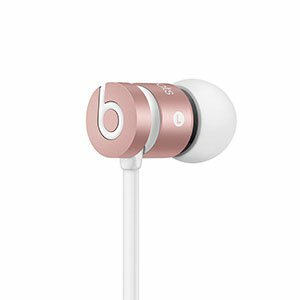 Much like regular Beats by Dre, these feature a stylish design with plenty of clean surfaces and a straight forward color scheme. In terms of performance, chances are that you know what to expect already. Beats have been notorious for their heavy low end response. That definitely applies to urBeats. If you are after heavy bass and wide sound stage, these will work great for you. All you are left to do is find a pair that fits you the best and load your favorite tunes. Although they aren’t necessarily a speaker oriented brand, Shure has proven that they have what it takes to build an impressive set of earbuds. 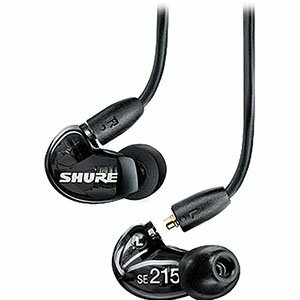 With that said, Shure SE215-K are much more than just your regular earbuds. What we have here are over the ear, advanced drivers packed in a rather comfortable chassis. The end result is a package that delivers in comfort and performance. Shure has used a set of Dynamic MicroDrivers for this particular build. This is a completely different architecture compared to the standard balanced armature. When you combine that with a super efficient noise canceling performance, Shure SE215-K starts looking more and more impressive. Whether you are looking for good sound or good noise cancellation, Shure SE215-K won’t let you down. Stylish but stealthy design makes these quite attractive to have if you like simple aesthetics. Good build quality all around with that classic Marshall ruggedness. A great set of drivers which really have some range to them. Adjustable EQ makes all the difference if you like various music genres. The cable could be a bit prone to tangling if you are not careful. 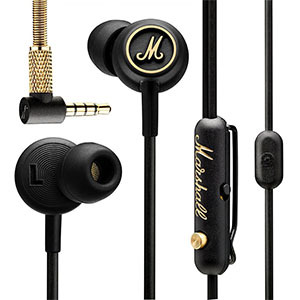 Seeing Marshall logo on a pair of earbuds can be quite confusing, especially if you are familiar with their amps. However, Marshall Mode EQ have proven to be one of the most interesting earbuds you can find at the moment. On the outside, we have that unmistakeable Marshall look that lets you know what you are dealing with right away. On the inside, things are much more interesting. Marshall went with a set of great drivers which really deliver a refined experience out of the box. However there is more. Marshal Mode EQ comes with an adjustable equalizer. What they did was offer two types of EQ curves. One is more bass heavy while the other is all about those mids. Great build quality really puts these ahead of the competition. 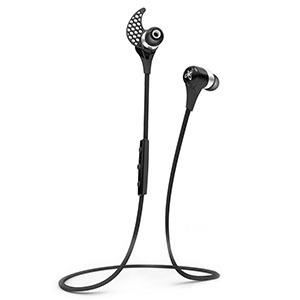 JayBird ships these with plenty of accessories which ensures a good fit. The ability to wear them over the ear or under the ear. Great sound quality which is on par with any wired solution out there. The only thing missing that we would like to see are magnetic back plates. Although wireless earbuds are a very competitive field at the moment, JayBird has managed to retain their status as one of the authorities in the industry. It is models such as the BlueBuid X that allow them to stay on top. These earbuds pretty much represent everything you would want from a wireless set. Especially if you are living an active lifestyle. The thing that makes JayBird BlueBuds X so attractive is their functionality. You have a set of impressive drivers packed into a chassis system that is hard to top in terms of comfort and retention. JayBird has thought about everything when they designed these earbuds which is very much apparent the moment you put them on. These are capable of meeting all of your needs. Low profile and stylish design makes these a great choice for everyday use. Good build quality inspires confidence and enures long a service life. 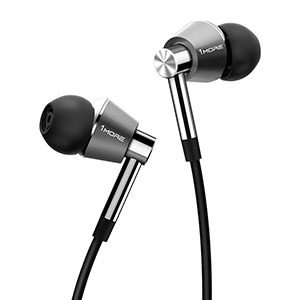 Awesome set of drivers which really push the limits of earbud performance. Great set of accessories which includes plenty of earpieces and a good hard case. Sennheiser offers theses in iOS and Android versions which can be a limiting factor. Sennheiser is definitely a name that carries a lot of weight in the audio business. Because of that, it is no surprise that they have a large presence in the earbuds segment of the market. 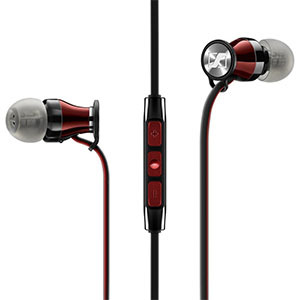 Sennheiser Momentum is by far one of the most representative models in their offer. These earbuds combine great functionality with a great style and bulletproof hardware. The true value of Sennheiser Momentum is found when you start pushing a signal through those drivers. Sennheiser has ensured that you get a great sonic profile with plenty of saturation across the frequency range. In terms of fit and comfort, their simple looking chassis actually works much better than expected. Even if you’re using these for running, they’ll keep up with the pace. A simple and utilitarian design makes these a very stealthy set. Great selection of accessories ensures a good fit and comfort in most cases. Rather impressive choice of transducers brings an incredible sound quality to the table. Earpiece design makes them serve as a good noise canceling membrane. The cable, although great overall, tends to be prone to tangling. What comes across as a super simple set of basic earbuds actually hides an impressive character. Etymotic Research earbuds are somewhat legendary by now. The HF5 we have here are following that tradition. With earbuds such as these, it is all about performance, comfort and fit. Everything else, including aesthetics, takes the back seat. For some that is a flaw. For us, this simple design is a benefit. The performance is easily one of the best you’ll find in this particular segment of the market. Every portion of the frequency range is equally impressive with plenty of girth but also clarity involved. 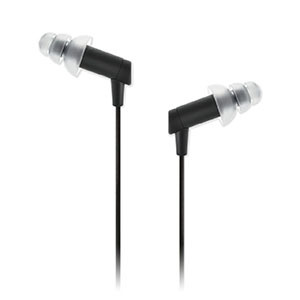 In short, these are the type of earbuds that are hard to max push to the limit as their limit is quite high. Unlike the jump between $20 earbuds to $50 earbuds, you may find that the remaining gap from ~$50 to ~$100 does not ostensibly land you with a whole lot more options in the way of features. There’s a fairly simple reason for this: the basic features—an inline microphone and integrated remote—are fairly inexpensive to add and, as such, already appear in cheaper models. By contrast, more expensive features—like, for example, active noise cancellation—won’t generally appear until we go another rung up in terms of price point. But wait, don’t let that put you off! As with many clouds, there exists here a massive silver lining that is worthy of consideration. With the pressure largely off manufacturers to innovate in terms of cramming in many and varied extra features, the key distinguishing feature for which the majority seem to aim is in providing the best possible listening experience for your money. Models in this range start to sound a whole lot better, and also provide you with options in terms of the kind of sound signature you’re after based on your personal taste. It’s a solid upgrade for any audiophile! There’s not a whole lot else to say here, as we’ve covered the fact that you aren’t going to see a whole tonne of new features at the circa $100 point. It is perhaps worth mentioning that while the kind of options open to you in terms of sound quality and specifications does widen up immensely here, you don’t have the whole world of choice open to you, and trade-offs are still part of playing the game. One minor downside to consider is that sports in-ear headphones can be a slightly dubious proposition at this price point. There aren’t a whole lot on offer, and the ones that do exist aren’t always great. This tends to be more to do with design than functionality. 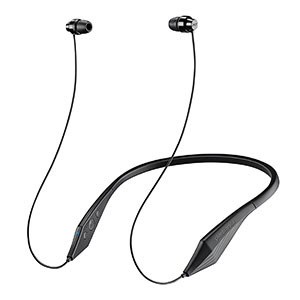 It costs money to provide a whole host of extra eartips in various materials which is the kind of offering that really sells earbuds for running by ensuring a tight, secure, and comfortable fit throughout any period of activity. Similarly, water- and sweat-resistence can be a little suspect. There are generally two types of earbud users out there. You have those who are just looking for a way to enjoy music while they are on the go, while the other group is a bit more picky than that. The other group wants a better performance, smoother experience, more range. If you were to ask each group whether or not it is a sound decision to spend $100 on a set of earbuds, chances are that you would get two very different answers. Casual users just wont see the benefits of spending that kind of money on something most of them see as expendable tech. The only real way to figure out whether or not higher end earbuds are for you is to figure out which of these two groups you belong to. Aside from a tangibly better sound, there are several other reasons why you might want to consider higher end earbuds. Lets take a look at some of the most apparent ones. One of the factors that most people tend to forget about is the fit and comfort higher end earbuds bring to the table. Most of the models on our list are a result of a comprehensive design process during which someone sat down and invested a lot of effort into making the end product a comfortable piece of tech to use. The issue is that you can’t really see that by simply looking at the earbuds in question. Either way, higher end earbuds are much more likely to meet your fit and comfort needs than a cheaper set. By far one of the most popular reasons to sink this kind of money into a set of earbuds are niche designs created for a very specific purpose. This is where you will find most of your wireless models that have a proper water resistance rating. Designing a wireless set that stays in your ear during a jog, doesn’t get damaged from sweating and performs consistently is harder than it seems. Spending a bit more money on a set will ensure that you get all of these features and then some. When fitness is a way of life for you, the last thing you want to endure on your daily run are earbuds that keep falling out of your ears. It is situations like that when you really have to ask yourself what consistent and reliable performance is worth it to you? Last but not least we have the most obvious reason why more expensive earbuds simply make sense. Better hardware is what defines how good any earbud is going to be. With headphones, you can always use larger drivers and other means of enhancing the quality of sound. However, when you are dealing with something as small as earbuds, you don’t have that luxury. Instead, most brands are forced to develop complex driver solutions in order to squeeze in more juice in the same sized chassis. Or, rather, what to listen for. This price point is all about that bass. Or those mids. Or those highs. Basically whichever flavor of sound signature and customization options you have in mind, that should be your main priority when purchasing at around this range. Compare the ~$100 bracket to the offerings directly above and below it and you’ll find that the general distinction is that they have more in common aesthetically with ~$200 models, more in common features-wise with ~$50 models, and a sound quality that, while variable, tends towards the former. If you’re serious about your listening experience, dropping $100 on a new pair of quality earbuds is something of a no brainer. As far as bang for your buck goes, this is pretty much the sweet spot for the kind of audio quality you’re likely to find for the money you spend. Even if the features are lacklustre, even if the design leaves you a little cold, head out to your nearest store, listen to some of our recommendations, and you’re sure to find something that does the trick for you.